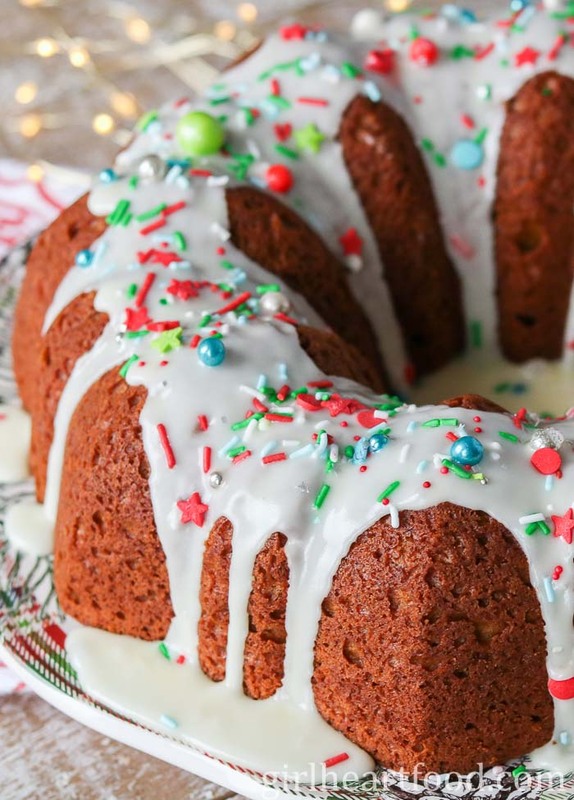 Make your holidays extra festive with this easy Gingerbread Cake Recipe! There’s loads of warming flavours like cinnamon, clove, nutmeg and rich molasses. The whole cake is topped with a simple icing sugar glaze and plenty of fun sprinkles! This Cranberry, Lemon, White Chocolate and Coconut Cake takes minutes to prepare and is studded with tart, fresh cranberries. Lots of lemon zest brightens this moist cake and the white chocolate and coconut compliment the tartness beautifully. The hardest part is waiting for it to bake and, even more difficult, is having to resist having a second piece! It’ll be your new favourite when you’re craving something sweet!